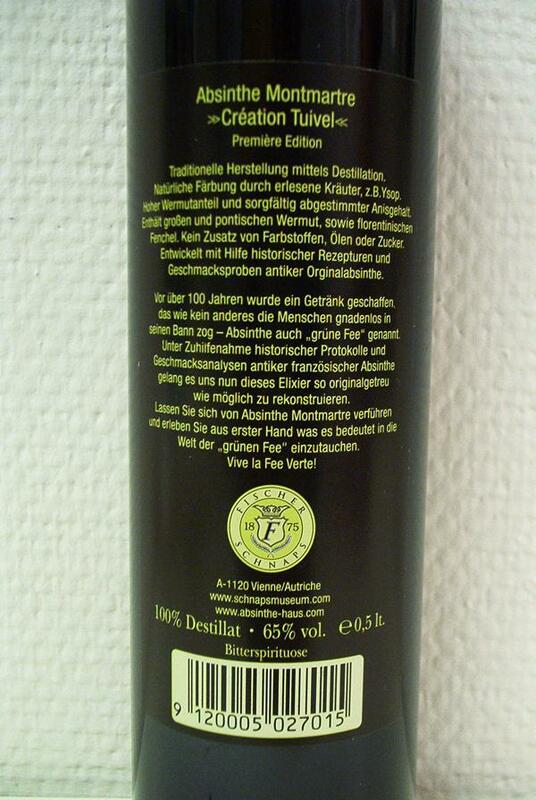 Produced in Austria, that alone calls for something not very usual in the absinthe-universe. 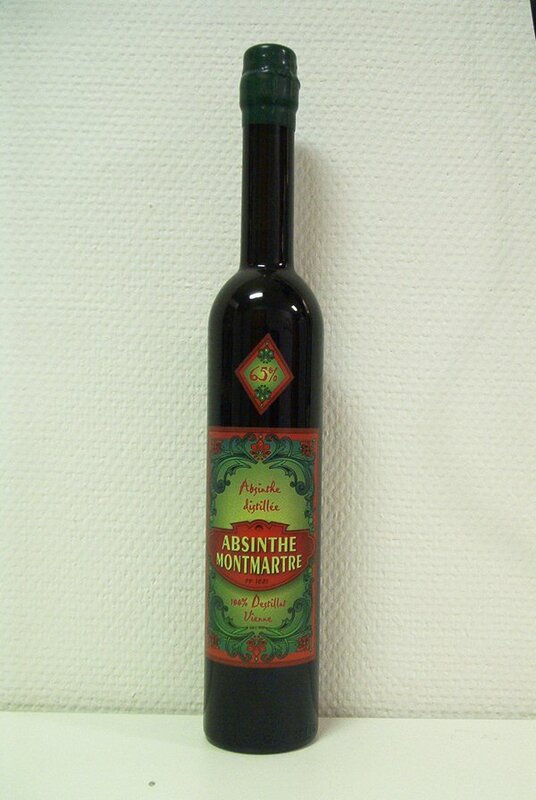 So far, all that's been coming out of Austria "absinthe-wise" has been crap. However, this one - distilled, produced on age old stills at the Alter Wiener Schnaps Museum according to old austrian recipes and with vintage french absinthes in mind - is completely different. Now then, is it any good? Yes it is. I'd say it's well up in the top fighting with some of my biggest favourites. With a good bit of wormwood, a healthy dose of fennel, maybe just a little too light on the anise, but a very interesting addition of mint and citrus - this one actually reminds of some finer HG's I've had. The mint and citrus really gives a refreshing aroma to the drink. The louche is a little light, but better than the Un Emile's. Just a tad more anise might give a thicker louche. 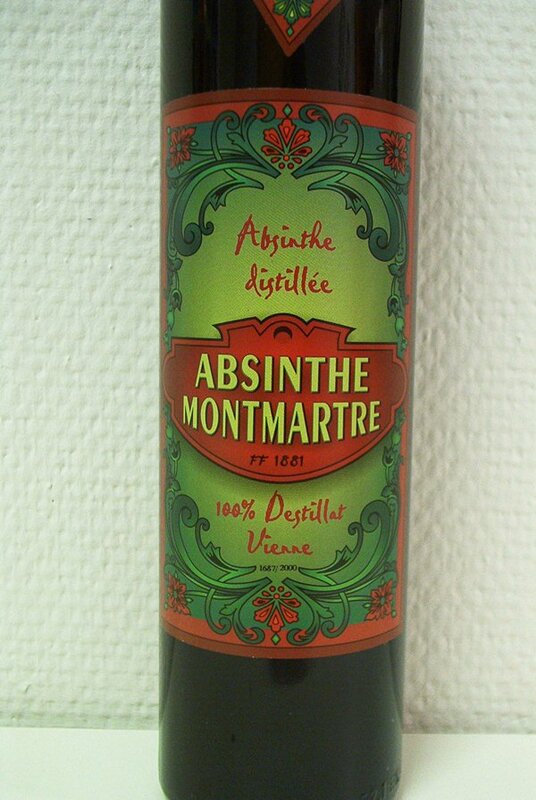 A summary would be that this is a highly recommended absinthe. Slightly unique in taste and at a very reasonable price (around 30-35 Euro), distilled and authentic in all ways, I'd recommend it to anyone. I also think that anyone who picks up this first edition (numbered bottles...) should be sure to pick up the second and third edition as well. This is good, and with minor improvements along the way, it's a sure bet. The second batch of the Montmartre comes in a slightly different bottle with a standard plastic seal instead of the wax over the cork. A lot easier to handle... So, what differs from the first and second edition? Well, first of all the color of the second edition is slightly lighter. Not as dark deep green. To me it also looks a bit clearer. To make it perfect I think a combination of the two would be the solution. Taste-wise the second editions differs in the way that it's better balanced and more mellowed than the first one. It's still very special and the cinnamon taste is very dominant but it blends better with the other ingredients. The second edition is probably easier for more people to like. Is the second edition an improvement then? -Yes it is. The only thing I think should have been less altered is probably the color. Otherwise I think that the second edition is an over all improvement and I still think that anyone who enjoys an absinthe every now and then should get a bottle of this.